S.Korea says trying to verify complaints by N.Korea waitress "defectors"
Several North Korean waitresses who arrived in South Korea in 2016 in a group of 13 defectors have said they were coerced into leaving, and a South Korean ministry that handles ties with the North said on Friday it was trying to verify their account. After a year of sharply rising tension and fears of war over North Korea's defiant nuclear and missile tests, inter-Korean relations have improved dramatically this year. "If we didn't sign our names, he threatened he would turn us over to the security police in North Korea for watching South Korean television dramas and I had no choice," one of the women said. "I wish I could take that decision back." South Korea's announcement of the defections at the time was unusual. Authorities usually keep such matters quiet. Heo said he had lied to the women about their destination, adding he was speaking out after the South's National Intelligence Service (NIS) failed to keep a promise to give him a job and a medal. Baik Tae-hyun, a spokesman for South Korea's unification ministry, which handles issues involving North Korea, told a briefing the account from the North Koreans had to be checked. 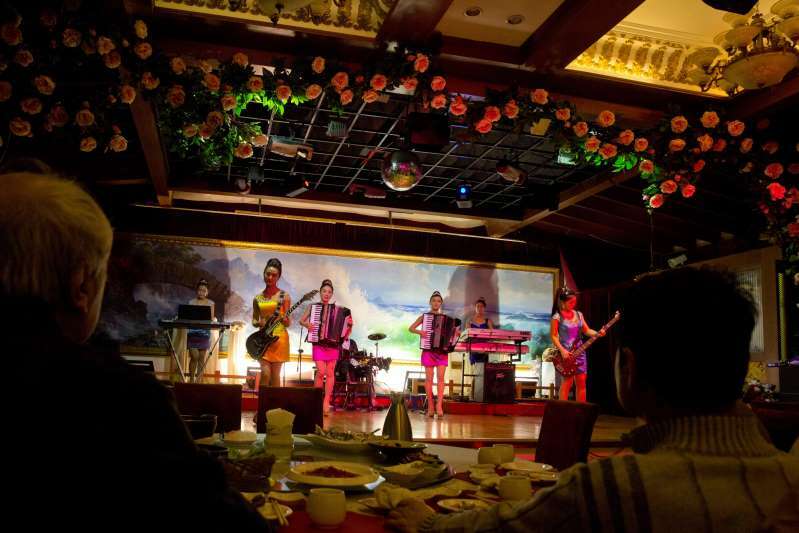 "We have tried to set up interviews with these defector waitresses," said Baik in a regular media briefing. "However, there was a limit as to how much we could assess their statuses as these people did not want meetings (with the ministry)," he said. World - U.S. Daily News: S.Korea says trying to verify complaints by N.Korea waitress "defectors"